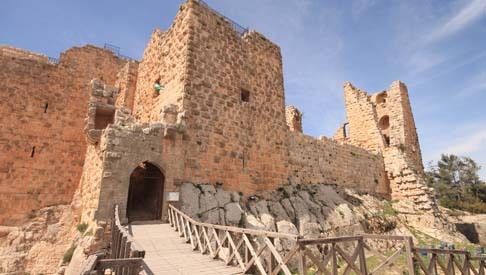 73 km north of Amman, and a short journey northwest from Jerash, through a beautiful pine-forest and olive groves, brings you to the town of Ajloun, where Hadrian stayed over the winter of 129-30 AD, and built himself an arch well outside the town, leaving unbonded its sides for future city walls to come out to meet it. 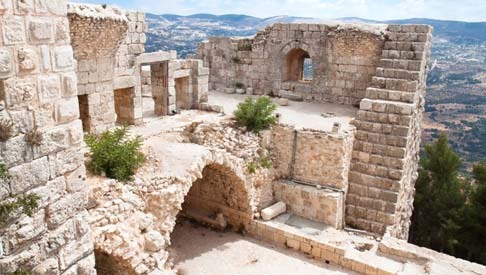 Here you will find the Castle of Ajloun or Qalaat Errabadh (Arabic for “Hilltop Castle”), from which there is a splendid view westwards into the Jordan Valley. The Ajlun mountains are famous for their lush vegetation and thick green forests and a good place for hikes. Its highest mountain peaks reach around 1268 meters above sea level and Ajloun mountains receive a few snow storms every year usually in winter season from December to March. It’s one of the country’s most beautiful regions. 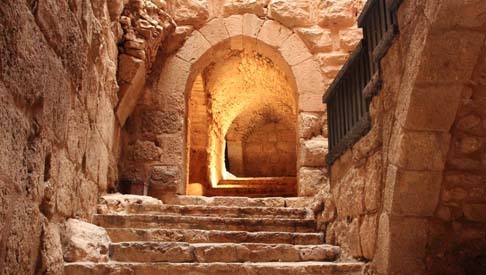 Ajlun has a Mediterranean weather rainy and snowy in the winter season and pleasant in the summertime.